Pollock Pines, CA is a small suburban community of 7,000 residents in El Dorado County. Located off of U.S Route 50 (Hwy 50), this lovely town sits to the west of the Sierra Nevada Mountains. Nested in deep tree cover, this scenic area is just 15 miles east of Placerville, and 60 miles east of Sacramento. The residents of Pollock Pines are minutes away from El Dorado National Forest, a vast national park which presents endless outdoor activities. Other recreational opportunities can be found at Sly Park Recreation Site and around expansive trails surrounding Jenkinson Lake. There's great shopping too in Pollock Park at Pines Shopping Center and Pony Express Village Shopping Center. Scroll down to see all Pollock Pines homes for sale on the market. Want to read more? Learn more about this wonderful community in El Dorado County. 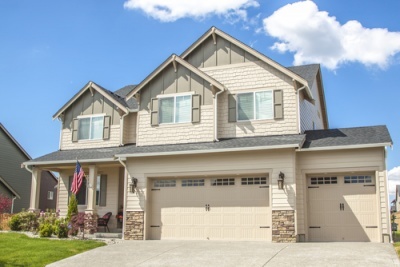 The Pollock Pines real estate market has a lot of different living options for homebuyers. Single-family homes dominate most of the landscape; however there are also mobile homes and acreages. The majority of residents own their homes, and the rental market makes up for only 19% of homes in Pollock Pines. Most homes lie in heavily wooded areas which ensure peace and quiet as well as lots of privacy and room for workshops and storage. There are many vacant homes on the market as well which would make excellent vacation homes in the summertime.